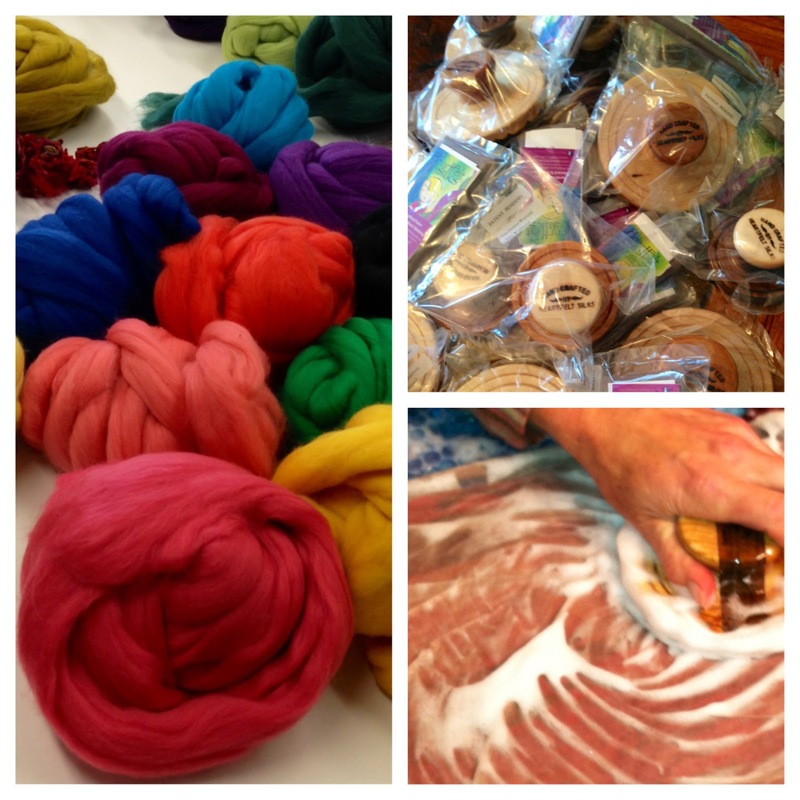 Photos from our Fabulous Fibre Month! 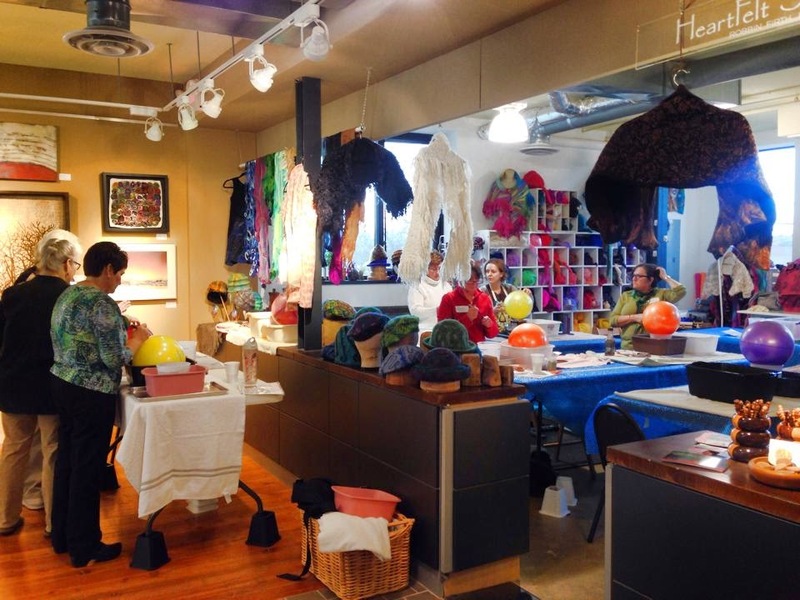 As many of you know, in October 2014, the HeartFelt Silks studio at Seasons on St. Croix Gallery hosted a month-long celebration of all things felted, woolly, and wonderful — Fabulous Fibre Month! 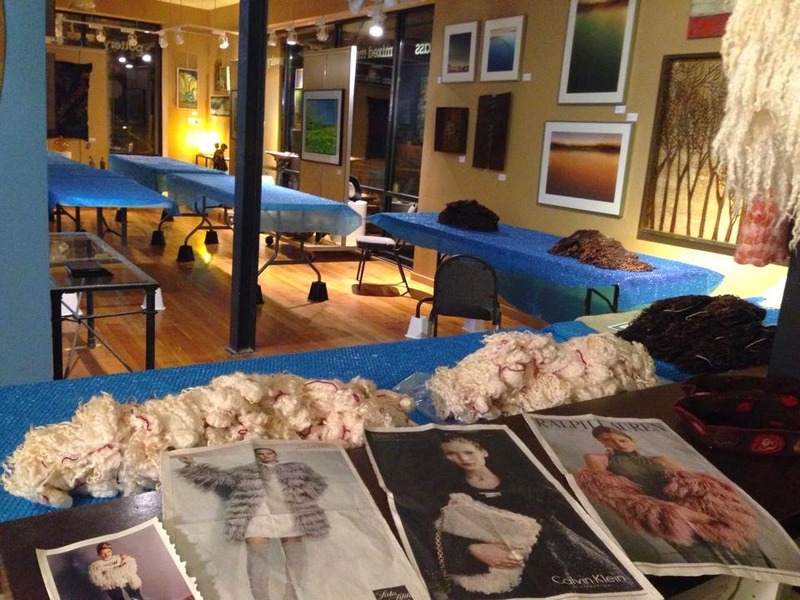 In addition to a special gallery exhibit of decorative and wearable fiber art (complete with a fashion show! 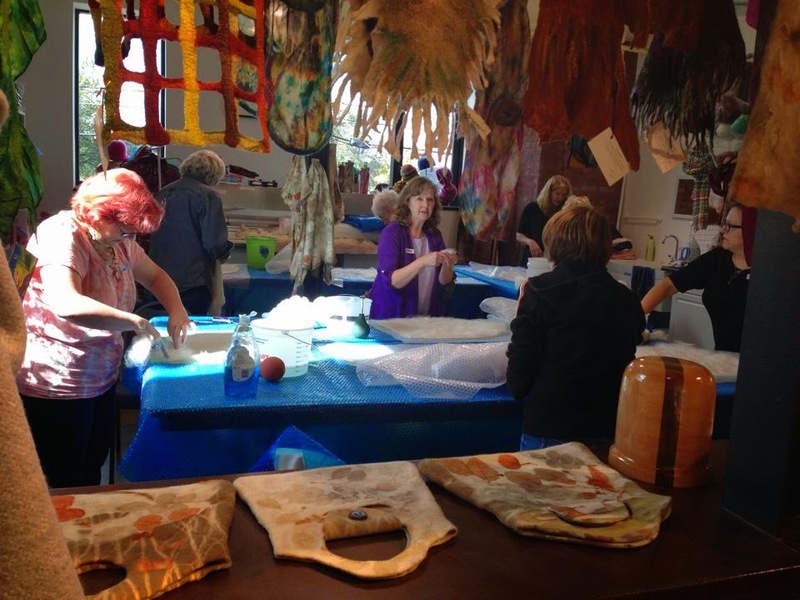 ), we hosted a series of unique felting workshops with guest instructors from around the US. 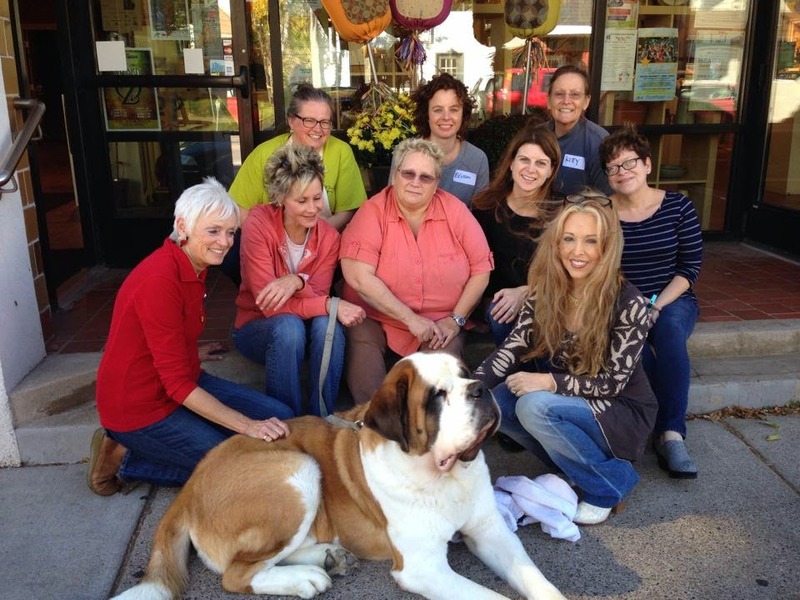 If you missed live reporting on our Facebook page, here is a taste of the festivities at HeartFelt Silks in October 2014. 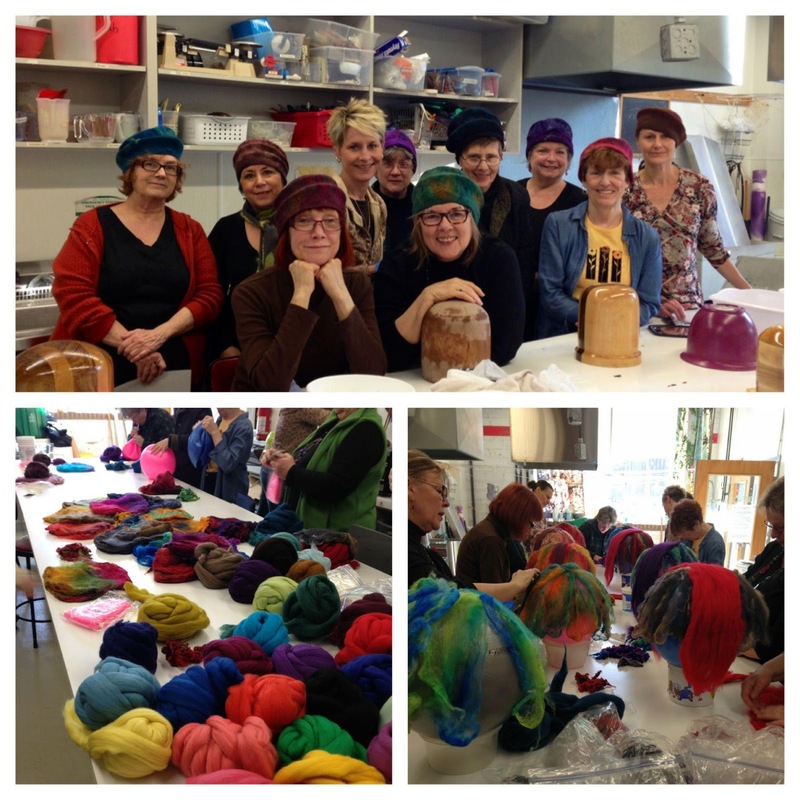 Our workshop series opened with Dawn Edwards‘ Eco-Printed Felted Hats, where students of all levels of experience spent two days concocting sculptural hats that were bundled to be eco-printed. Dawn and her students used a selection of leaves for their beautiful eco-printed hats. 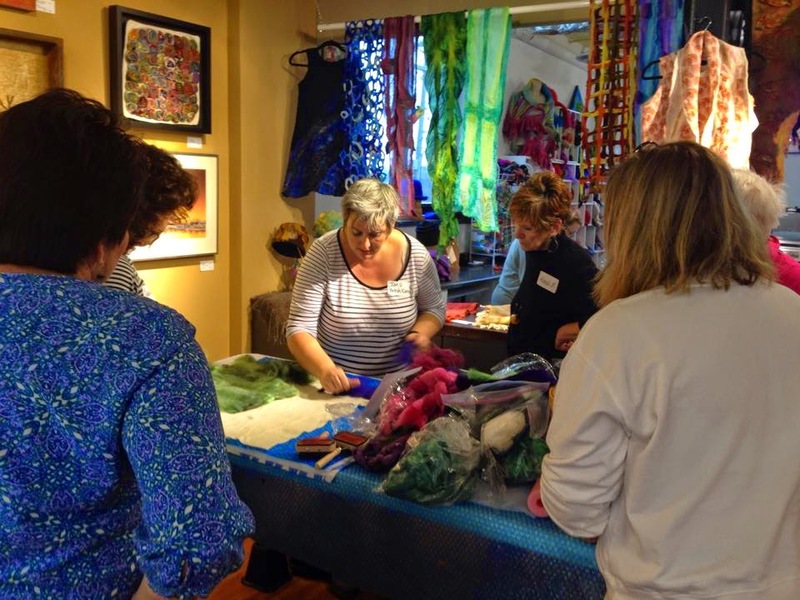 All Fabulous Fibre workshops took place in our retail and teaching studio, and to accommodate larger than usual class sizes, our felting tables spilled over into the beautiful Seasons on St. Croix Gallery. 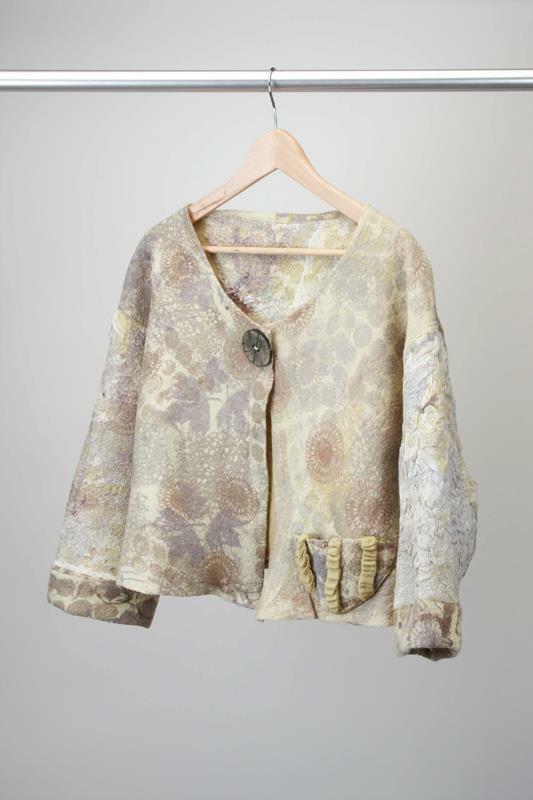 In the photo above, you can see some of Dawn Edwards’ other beautifully eco-printed objects, including handbags. 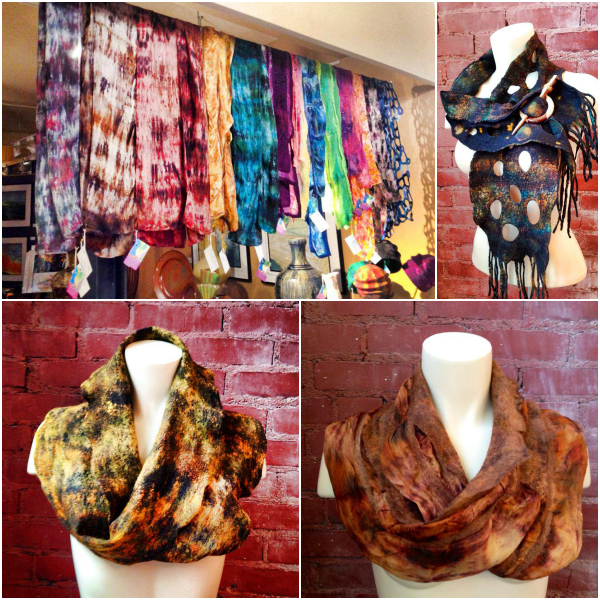 The scarves and wraps overhead are HeartFelt Silks-made, and the hat block in lower right corner is an original hand-crafted wooden hat block by Harry Firth. 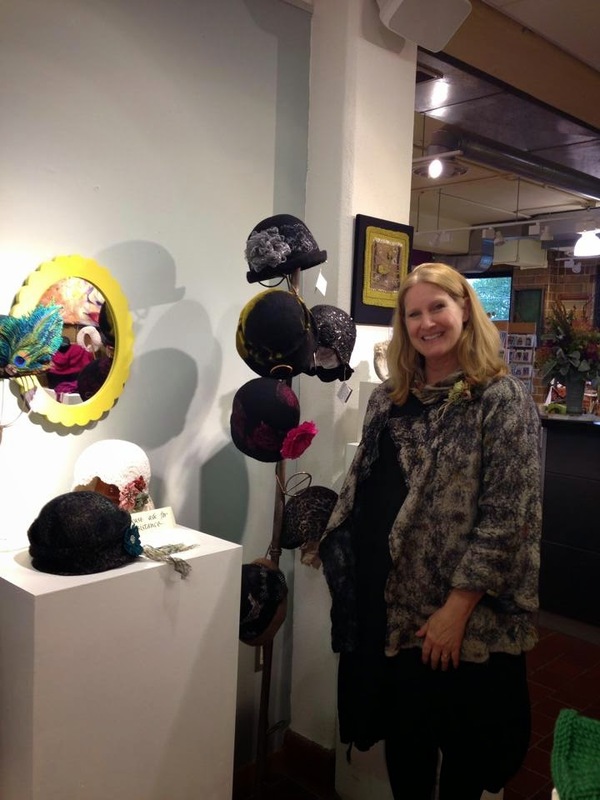 The lovely Dawn had a selection of her one-of-a-kind felted hats on display at the gallery. Making a (supplies and tools) list and checking it twice! Next up was Becky Utecht’s Raw Felted Locks Throw pillow class. Becky, who is not only a feltmaker but also a shepherdess, knows her wool locks! There’s nothing quite like a handsome, fluffy, and warm felted locks pillow to add a touch of the grassy pastures sheep love to your home decor. 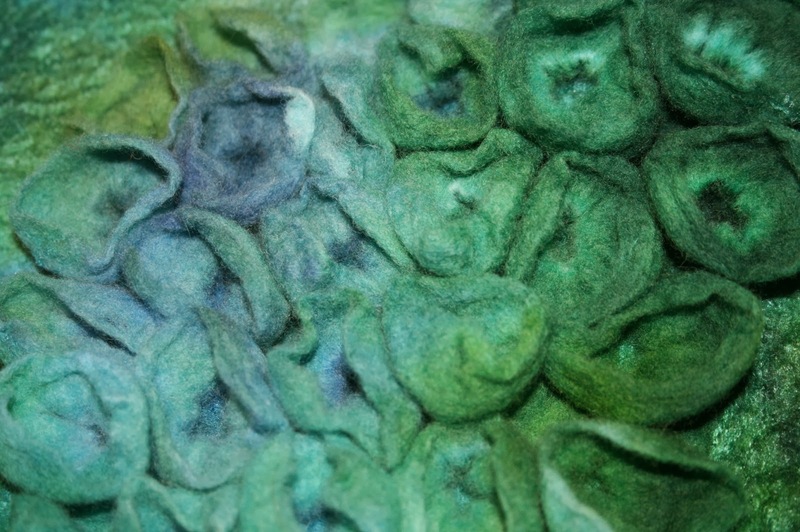 If you know me and my fiber favorites, you know that I simply love felting with raw wool locks! 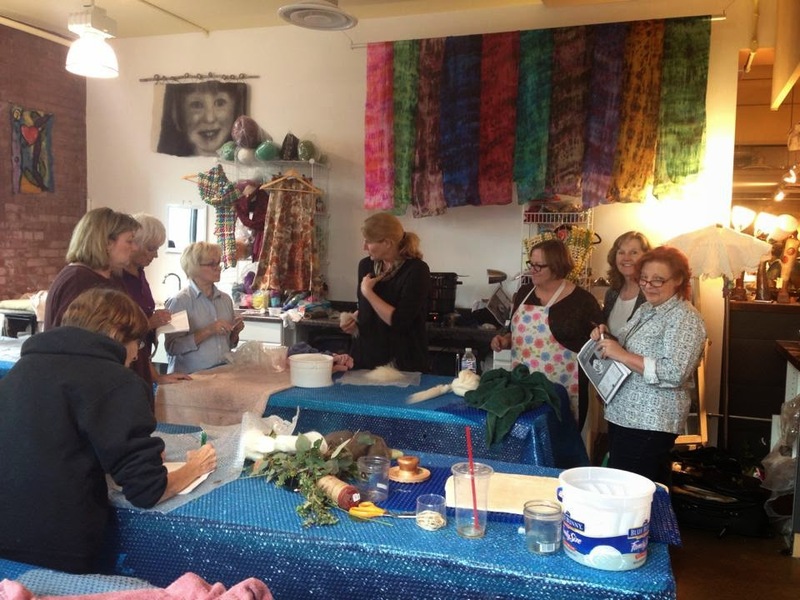 During Fabulous Fibre Month, by popular demand, I got to teach a Felted Wool Locks Shawl workshop, which was a lot of fun. 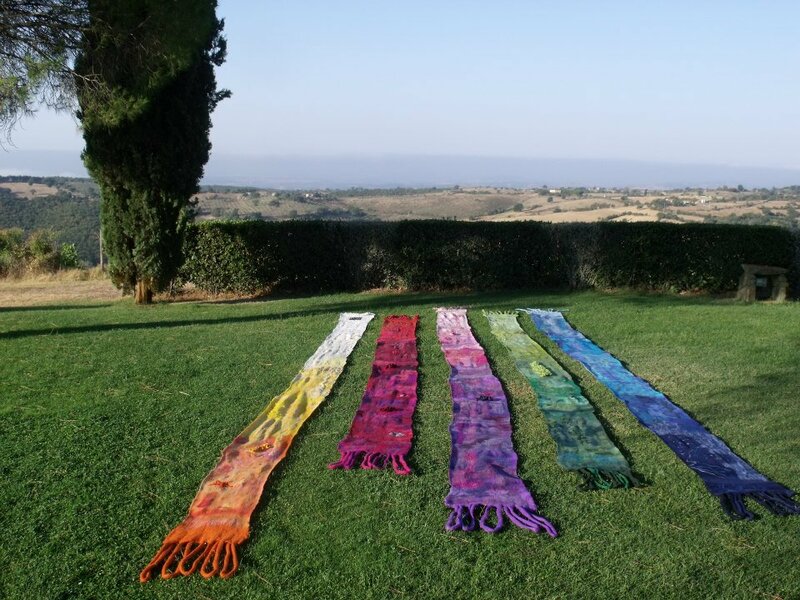 I started by prepping the gallery the night before, setting up the tables, laying out the wool bundles, and some inspiration for our shawls from fashion magazines. 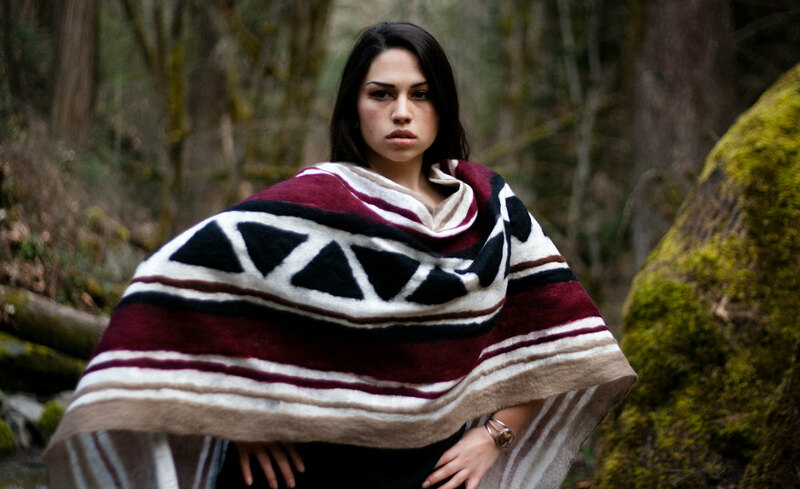 And not long after that, we all had luxurious wraps to model! 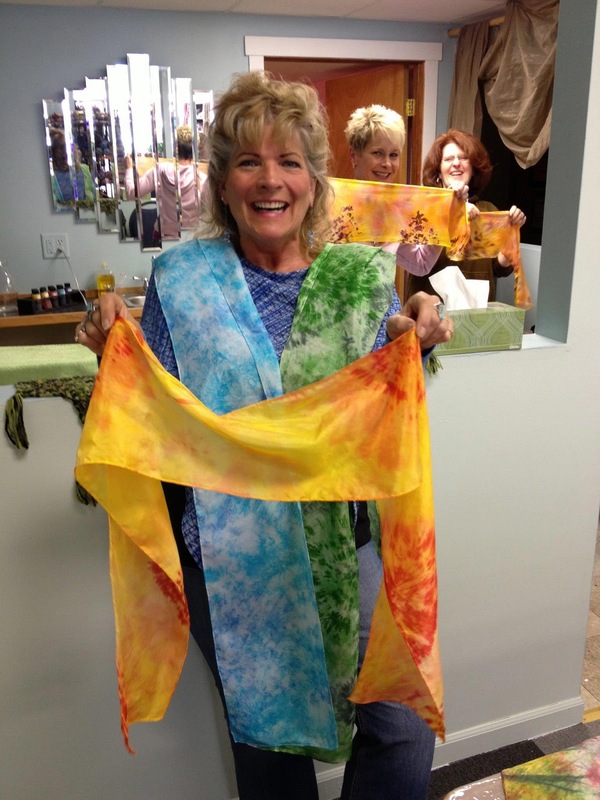 A few days later, we welcomed Jan Waller to HeartFelt Silks. 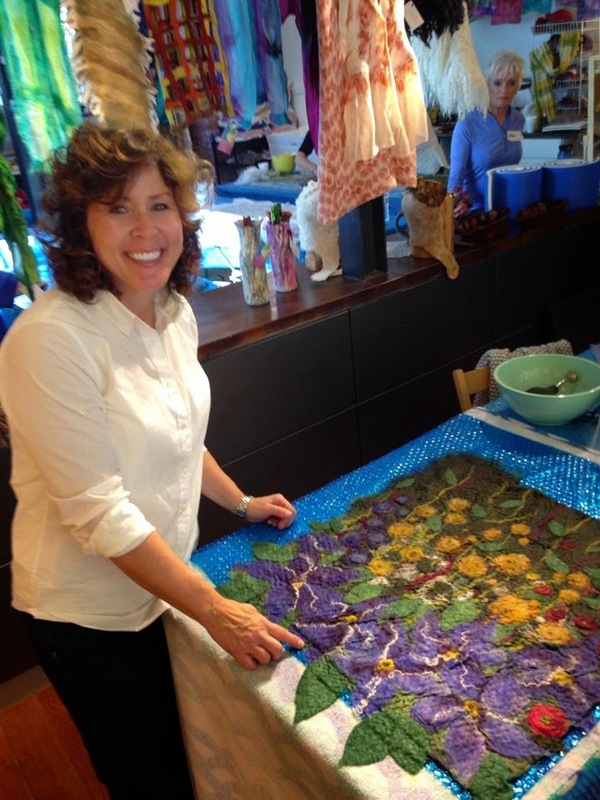 Jan came to teach a Felted Landscape workshop. With Jan as an inspiring (and entertaining!) teacher, the students had an amazing time. We were again treated to gorgeous fall weather! And the autumn views around Hudson helped to inspire the colorful landscapes made in wool. See? 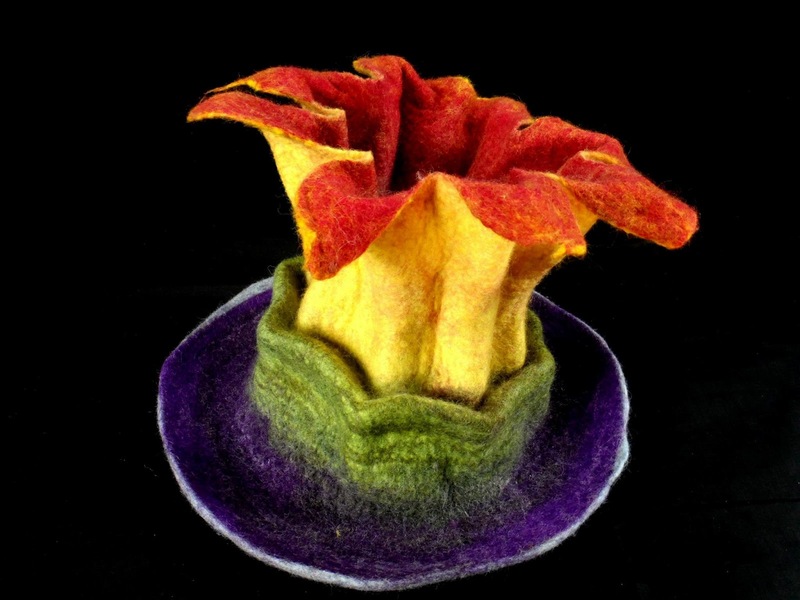 Gorgeous fall colors interpreted so very beautifully in felt! Each student put their own inspiration and personality into their one-of-a-kind, unforgettable landscape. And none of us shied away from lots of color and lots of embellishing fibers. To examining and admiring the stunning fruits of our labor. 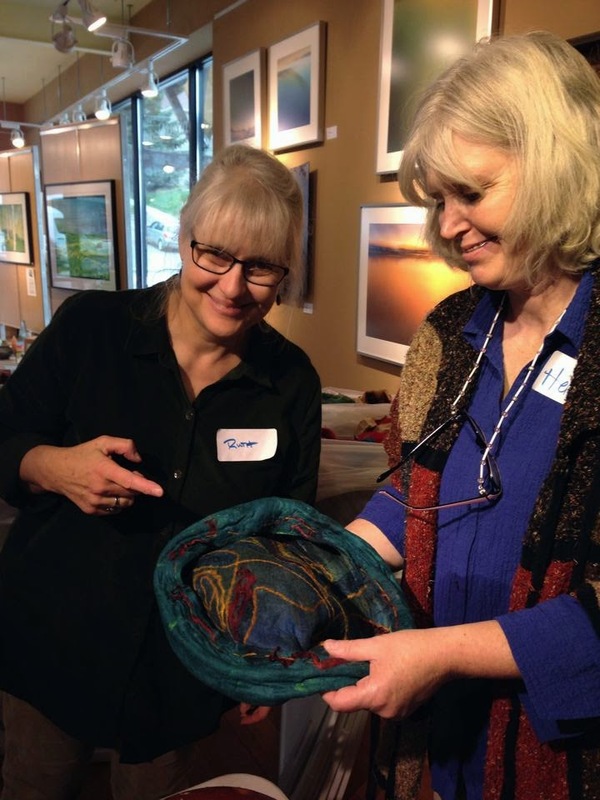 Another student-favorite was Ruth Walker’s Hat on a Ball workshop. Ruth is a well known teacher and felt artist, and students traveled from near and far to take her class. What could be more fun than bouncing a felted hat to have it take shape, while surrounded by colorful wool on all sides! 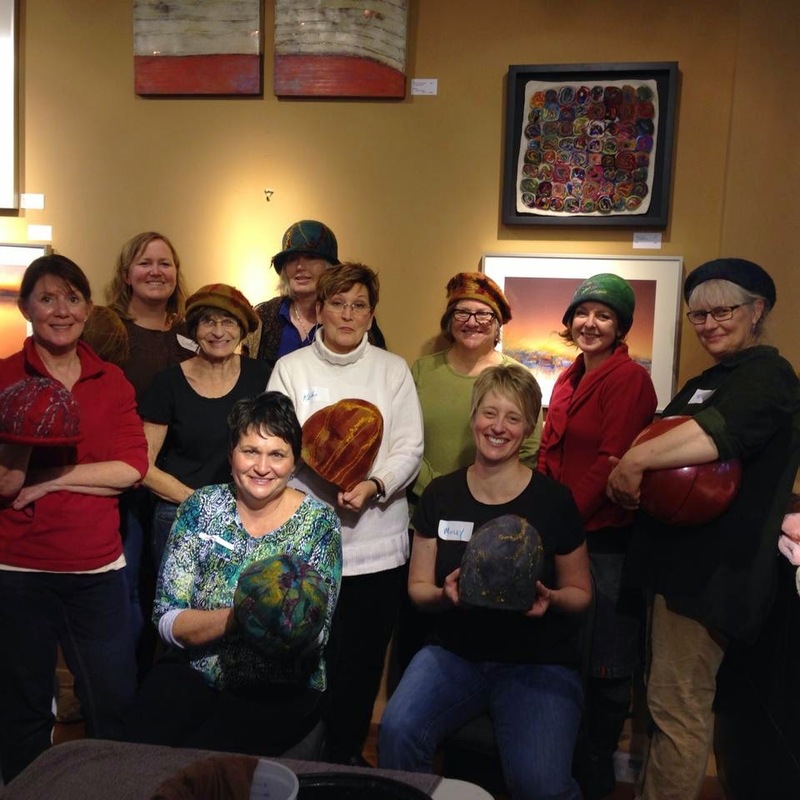 It was full house for Ruth’s class, and look at the lovely hats made by all! 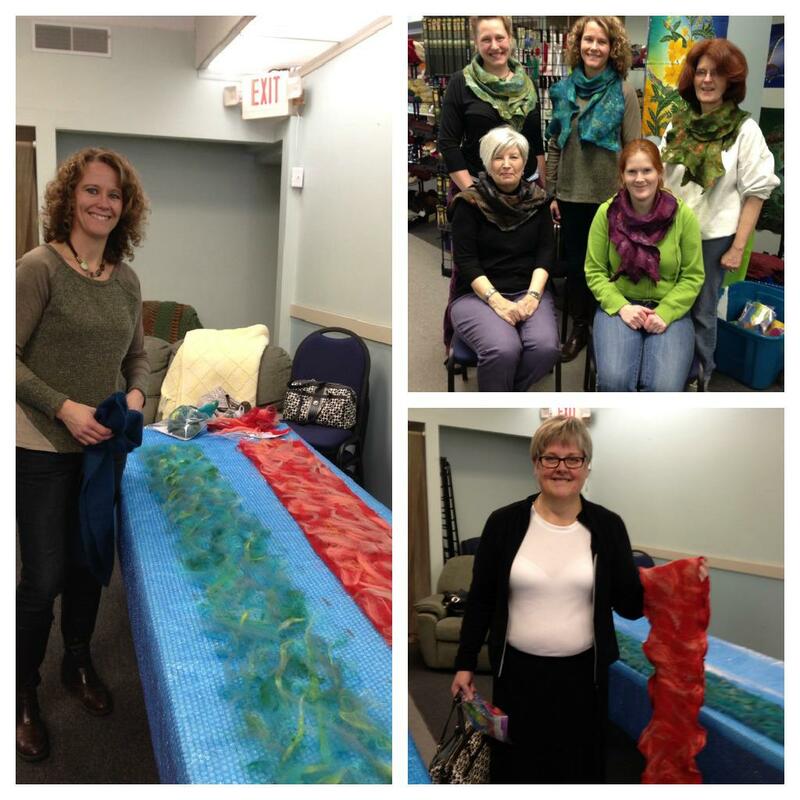 We also hosted Beth Marx all the way from California as a guest teacher during our Fabulous Fibre Month. 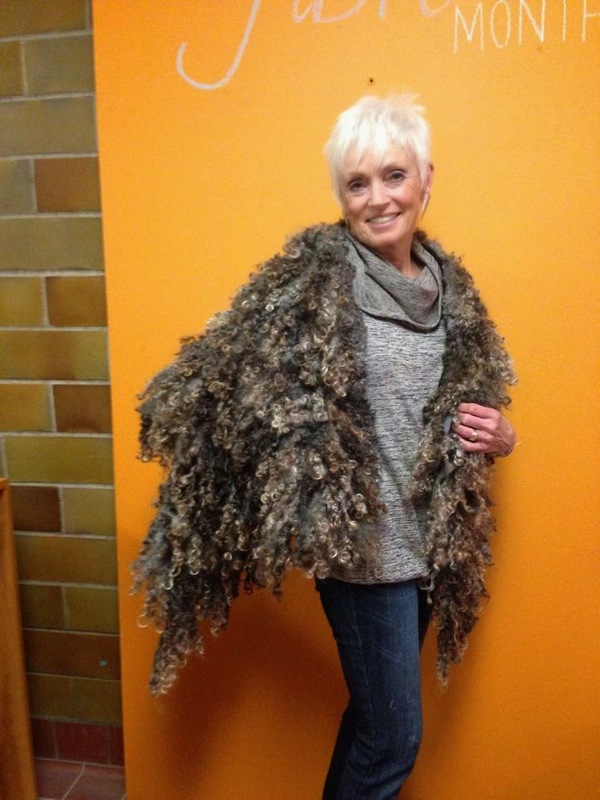 Beth taught a Nuno Felted Vest class — it had a big turn-out and lots of hard-working students. What an eventful and busy month! We took a few breaks from felting by sampling some of our local restaurants, and entertaining extra special guests, like our very own internet celebrity Mick (Firth) who came by to visit one day! 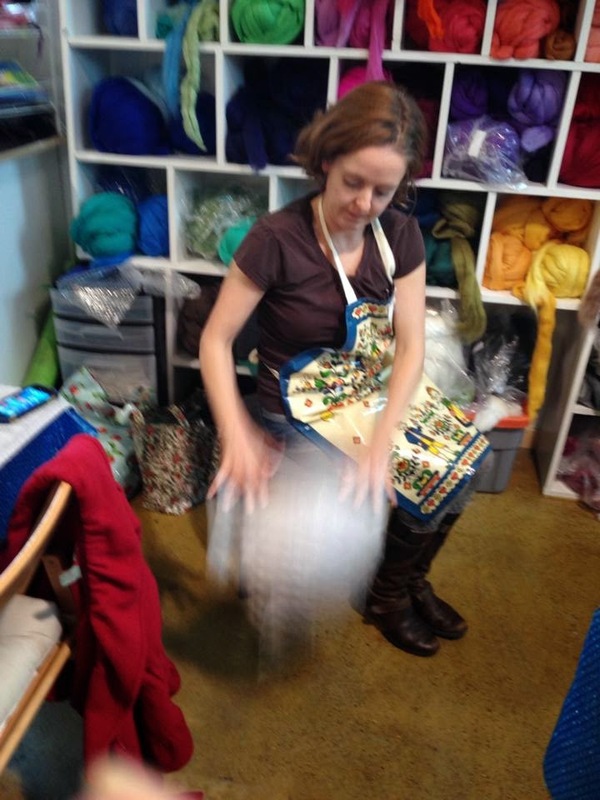 Curious about what’s coming up next for HeartFelt Silks? Visit our website, follow us on Facebook for daily updates from our studio and helpful tips, Twitter, and Pinterest, and email us any time. For the complete Palm Washboard series of felting tools, felting supplies, kits, as well as handcrafted wooden buttons and shawl pins, visit our online shops on Etsy and on our website. We are working on bringing online lessons and tutorials to you in 2015, please stay tuned! 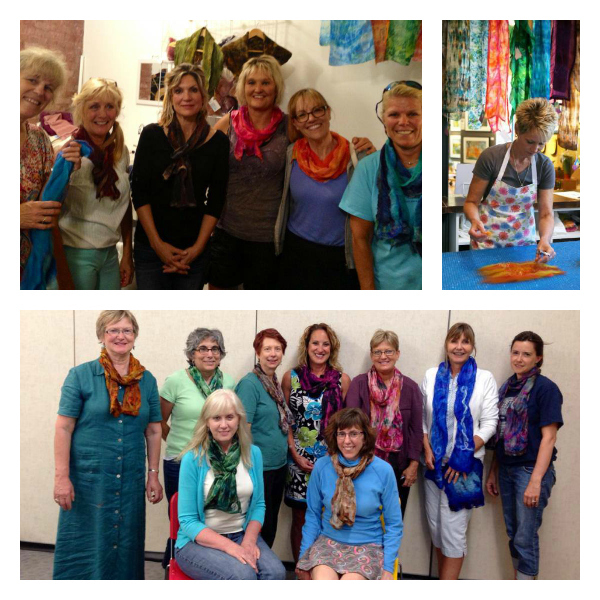 The HeartFelt Silks teaching and retail studio is located at 401 Second Street, Hudson, WI 54016. 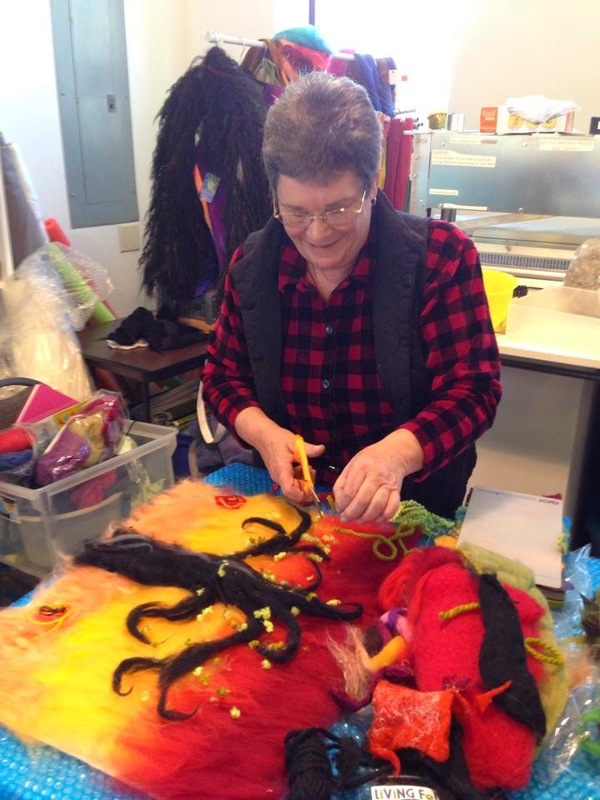 Private individual and group felting lessons are available by appointment. https://heartfeltsilks.com/wp-content/uploads/2018/11/il_570xN.703288202_bxn2.jpg 760 570 Robbin Firth https://heartfeltsilks.com/wp-content/uploads/2019/03/HomeBannerLogo-1030x84.jpg Robbin Firth2014-12-28 17:18:002018-12-05 22:47:08Photos from our Fabulous Fibre Month! 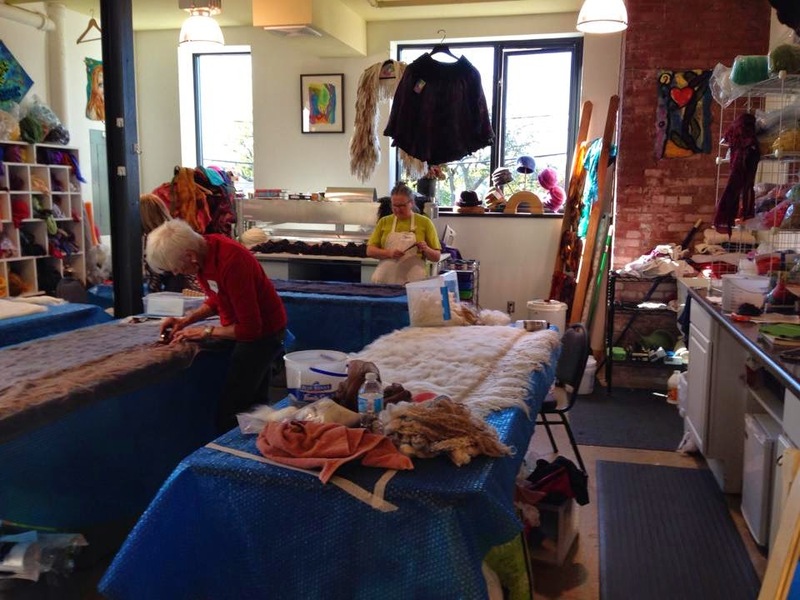 Here are a few photos of happy students and their marvelous felted creations at my recent felting classes at the HeartFelt Silks studio and at The Textile Center. Stay tuned for our March-April 2014 class schedule coming soon! 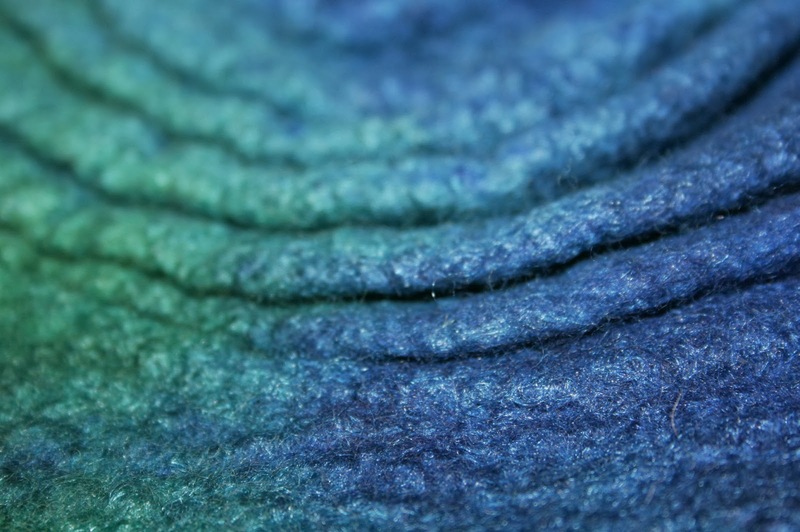 Follow us on Facebook for daily felting inspiration, information, and tips! 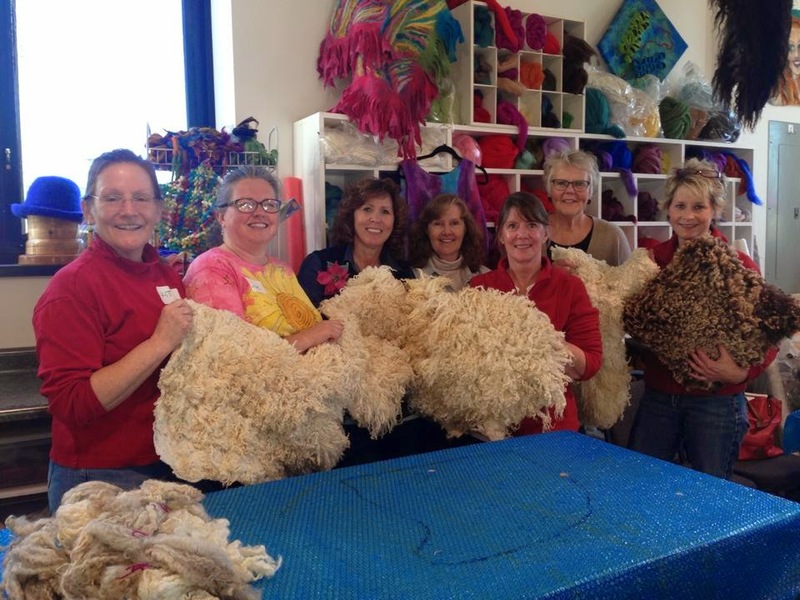 Here is a large felting class held at The Textile Center in MN. 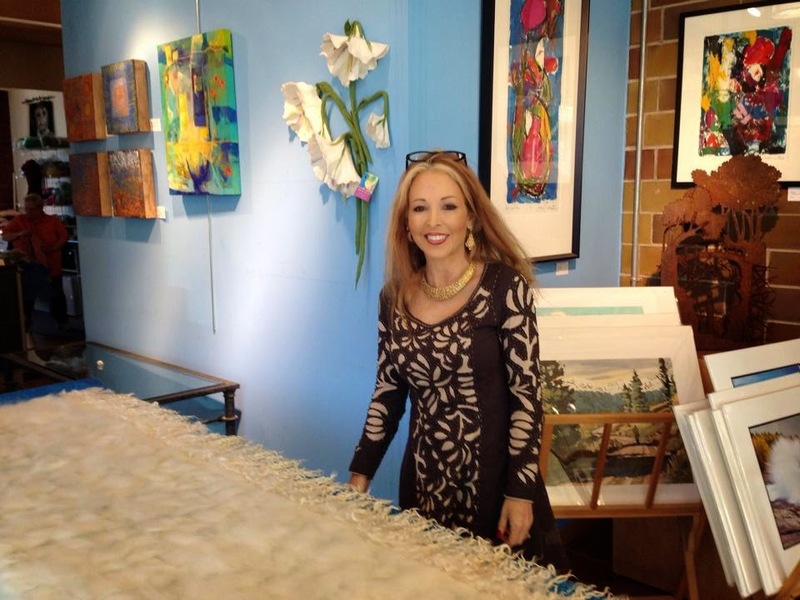 Learn the art of FELTING! 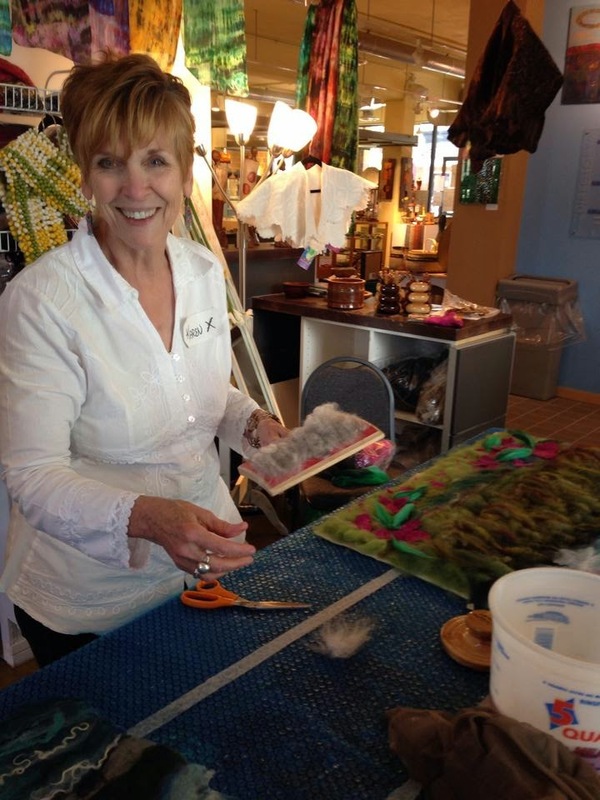 Take a felting class with fiber artist Robbin Firth at HeartFelt Silks® Studio in Hudson, Wisconsin! 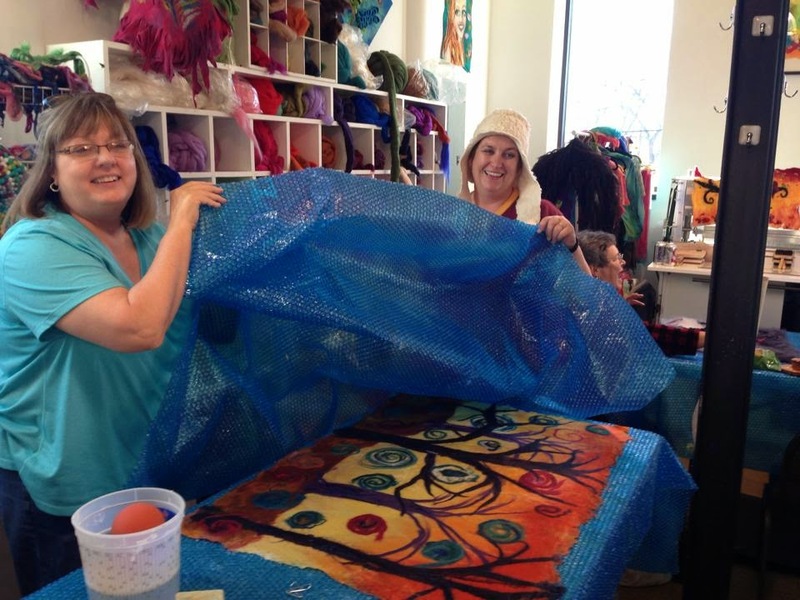 Students using their Palm Washboards to make felted scarves at the HeartFelt Silks Studio at the SEASONS on St. Croix Gallery. In December, we had a great time making felted Christmas stockings! Another great class! 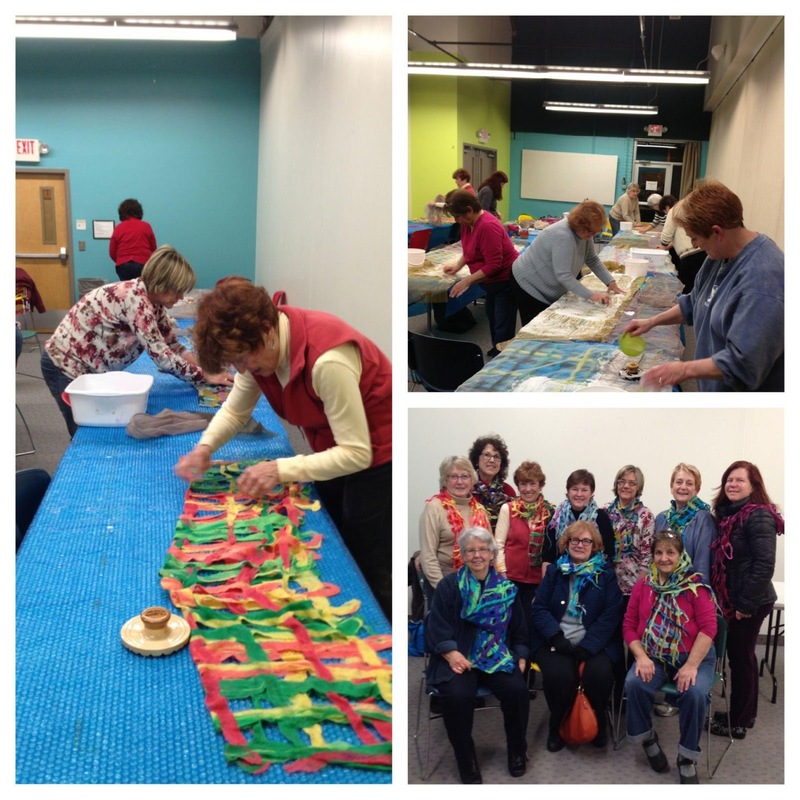 Top photo: beautiful ladies and lovely scarves made with instructor & felt artist Robbin Firth. 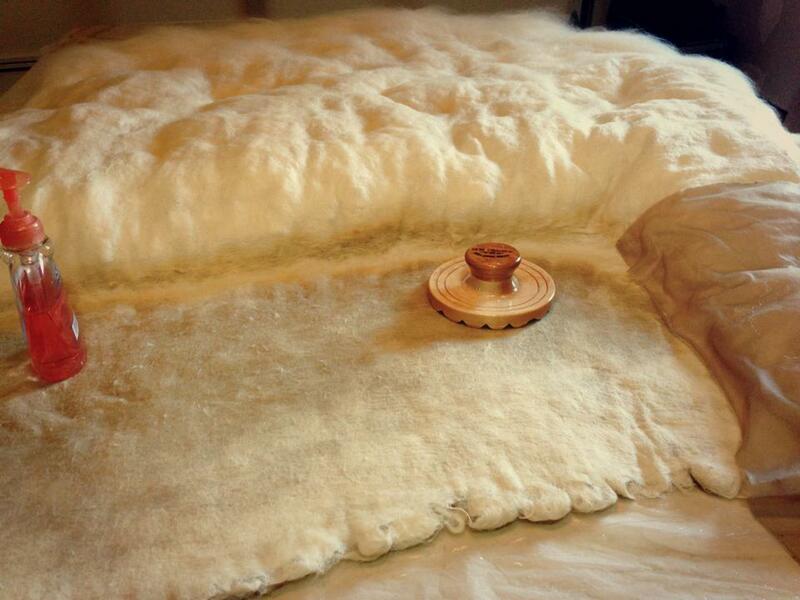 We have an exciting season of felting classes in store for early 2014. Here’s the HeartFelt Silks studio classes schedule for January and February. Please remember to call us to reserve your spot in the class. Follow us on Facebook to see photos from previous classes! 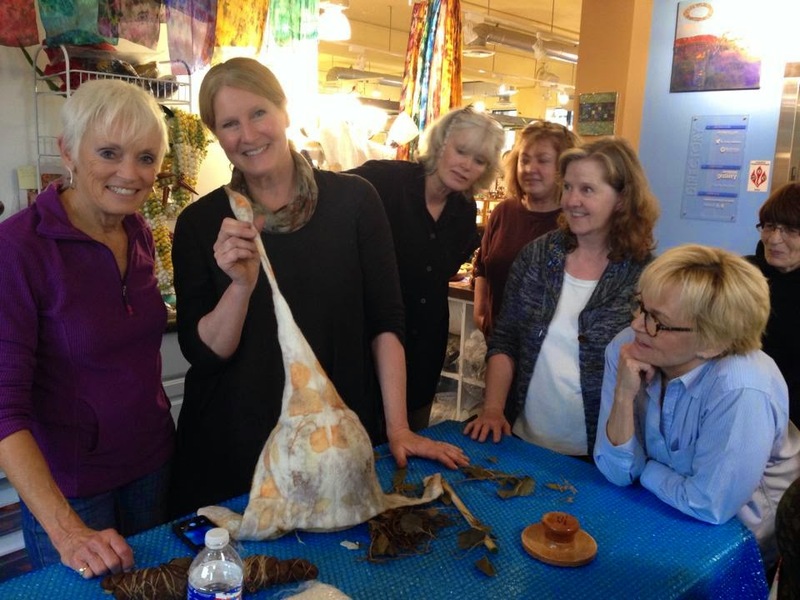 In this fun class it’s all about wool, sticks and embellishing fibers. 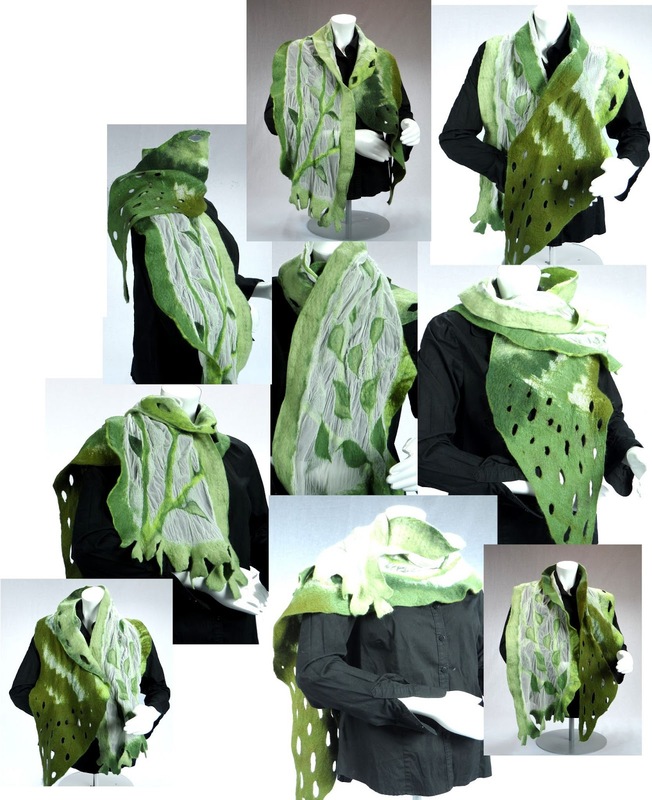 You are going to create a scarf with 3D effects, combining elements of layering and a little slicing and dicing. 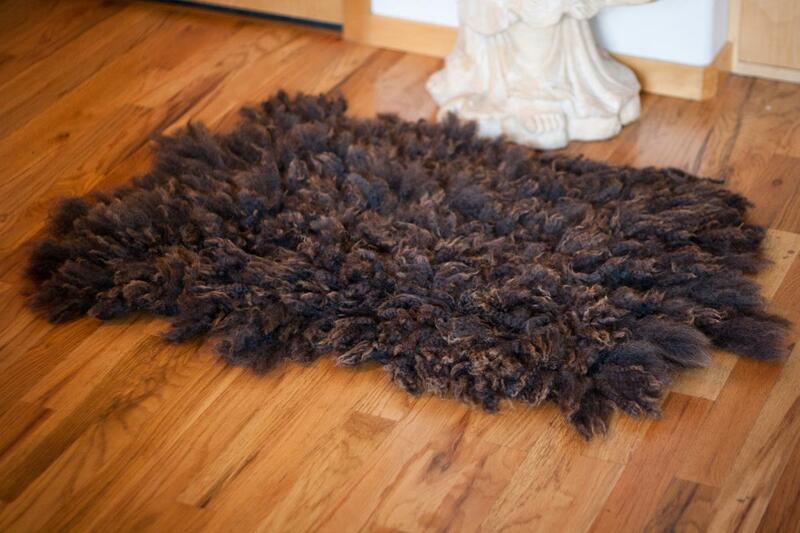 This is all done with the use of the patent-pending Palm Washboard felting tools. We will experiment, and there will be surprises in store for all of us. Come join the fun! Bring a couple of towels. Create a one-of-a-kind hat and learn the technique of wet felting using wool roving, silk hankies & silk noils. Never felted before? Don’t worry, you will be able to recreate this project again and again. Want a fun project to do with friends or family? Bring a couple of towels and a bowl that fits your head. Create your own lattice style scarf or wrap that looks like an open weave of criss-crossed fibers. This technique makes a beautiful scarf that looks complicated, but is easy to learn. We will use merino roving, silk embellishing threads and your own scrap yarn bits to create the design, and then wet felt with Robbin’s Palm Washboard, and her innovative non-rolling technique.There will be many colors to pick from. Please bring some towels. 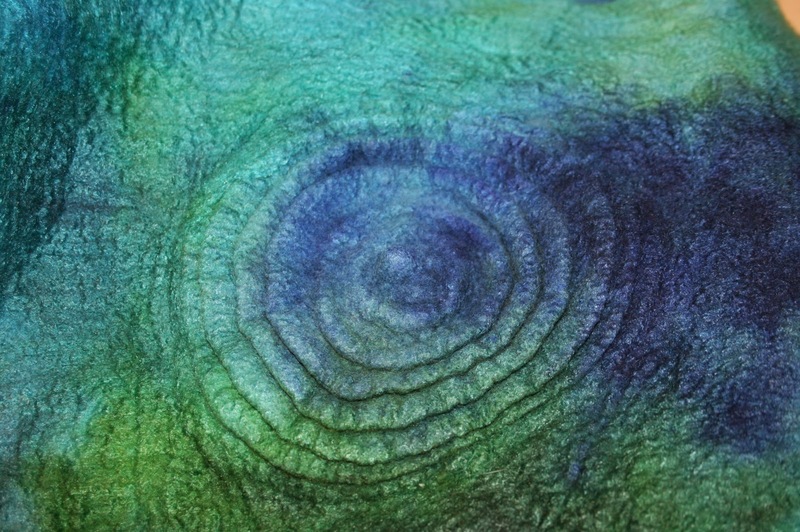 Explore the world of needle and wet felting. 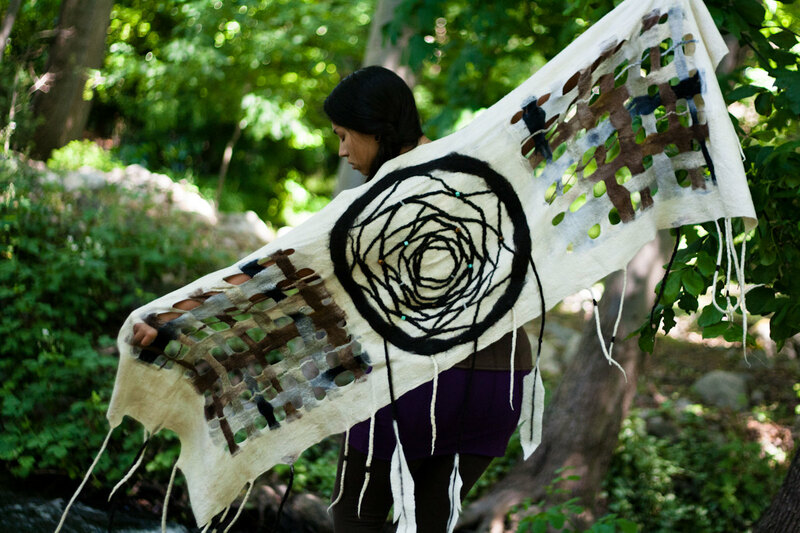 You’ll use pieces of burnout velvet and silk, a silk scarf base, and wool roving. This is a two-part class, at two hours for each class, a week apart. Students will have some homework. 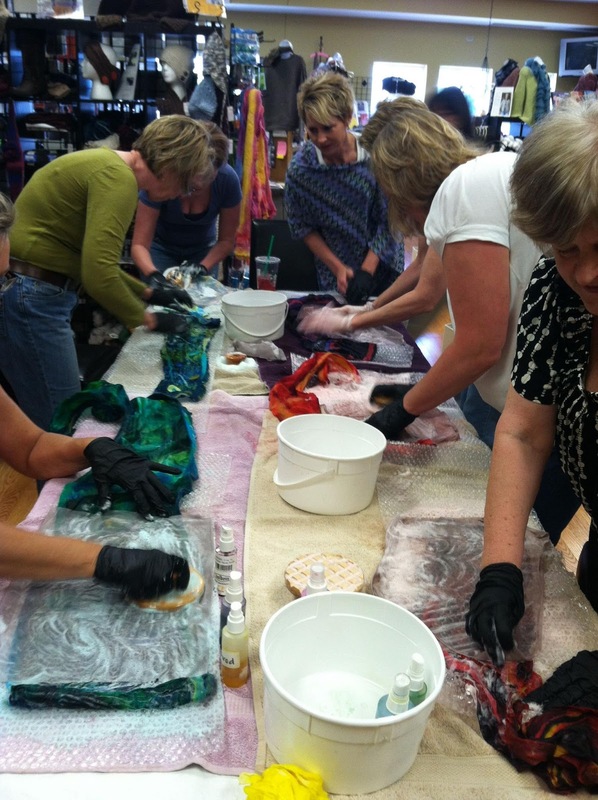 The second class will be for the wet felting process. Supplies needed for this class: Clover needle felting tool. This is the tool with 5 needles. Clover needle felting matt. Large. Both can be bought at Joanne Fabrics. Create an original scarf or cowl using Australian merino prefelt and many hand dyed merino silk and embellishing fibers. 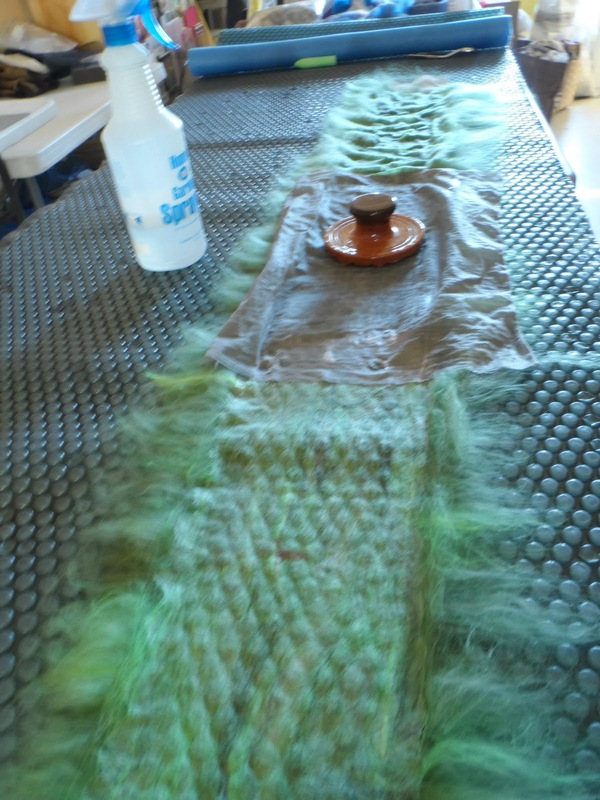 Robbin will show you the process of wet felting using the Palm Washboard tool. 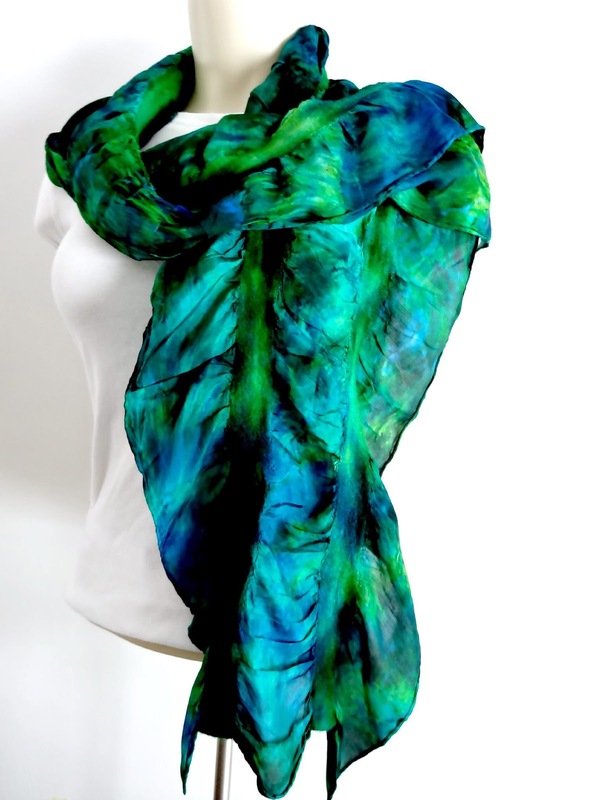 You will create a double sided design on your scarf or cowl. Bring some towels. Create a wine cozy by using wet felting techniques and a mason jar. In this class, students will be introduced to shortcuts and taught the basics of using household items to get the shapes desired. Wool roving will be used, as well as many other fibers for embellishing. Other felting classes can be arranged by appointment. Private and group instruction available. Contact Robbin at 651-263-7275 for details. 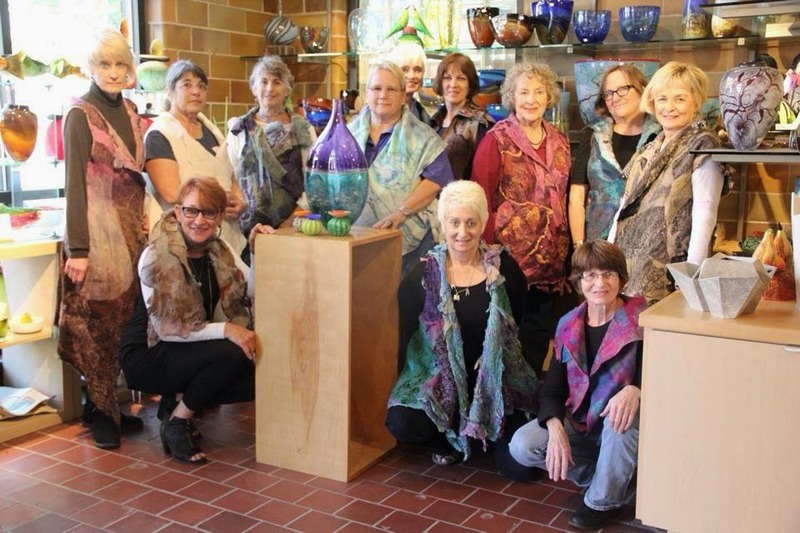 The Fall schedule of felting classes at our HeartFelt Silks studio in Hudson, WI is now available. Please see below for details. Space at each class is limited, and classes fill up quickly, so be sure to call early to register. See you soon! 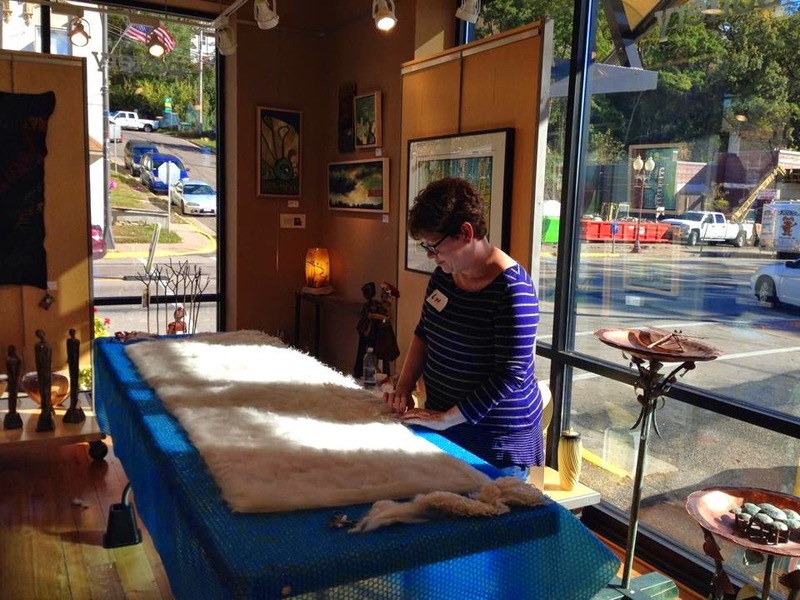 Learn the art of FELTING! 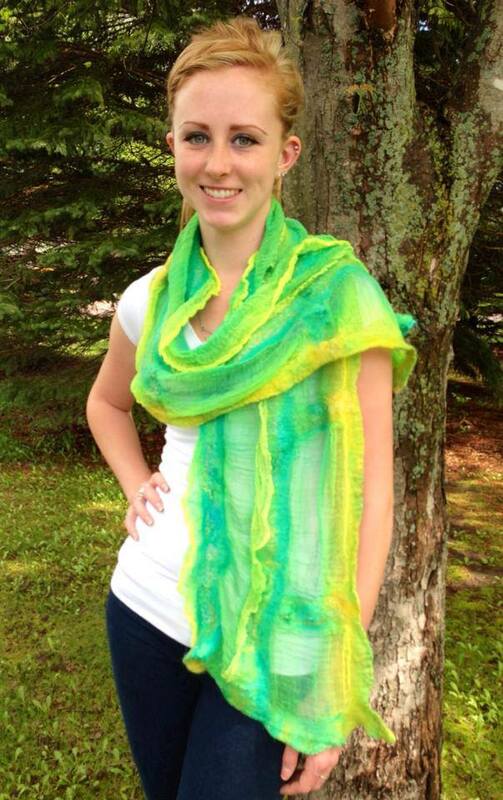 Create a Double Ruffle Scarf using Merino wool and the Palm Washboard felting tool. Use the new Edge Palm Washboard along with resists and layering techniques. There will be one main layer for the base of your scarf and two outer layers of ruffles. If you love ruffles this will be a great class for you! There will be many colors to pick from. Bring a couple of towels. Create a one-of-a-kind hat and learn the technique of wet felting using wool roving, silk hankies & silk noils. Never felted before? Don’t worry, you will be able to recreate this project again and again. Want a fun project to do with friends or family? 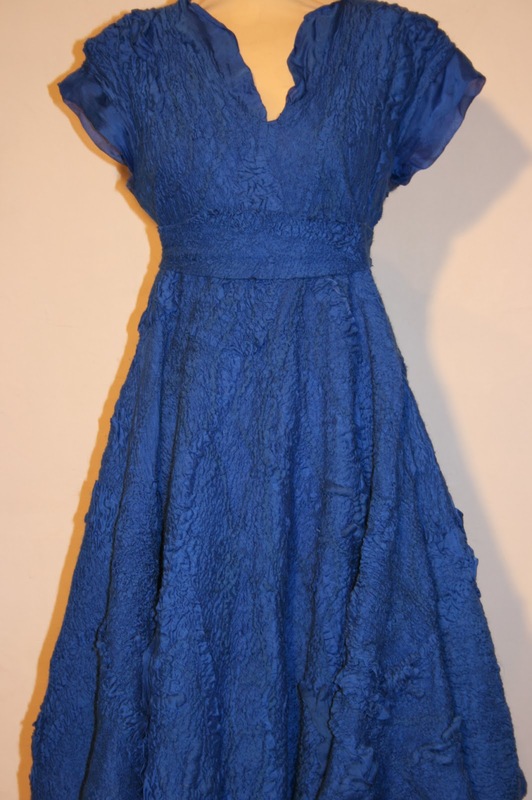 This is stylish but easy to make. Bring a couple of towels and a bowl that fits your head. Create a Wet Felted Christmas Stocking using the Palm Washboard and cardboard resist. You will be combining Merino wool roving, layering techniques and experimenting with embellishing fibers. Top the stocking off with beautiful wool locks using a needle-felting technique. There will be many colors to pick from. Bring a couple of towels, and your needle-felting tool (optional). 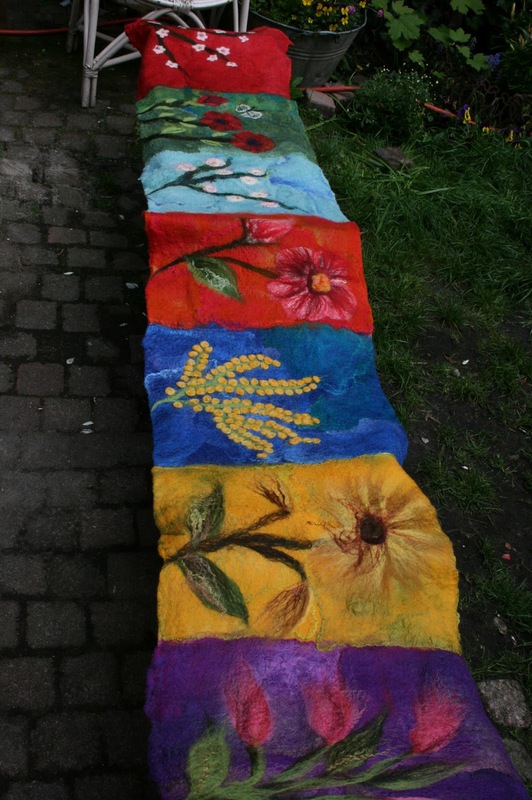 Other felting classes can be arranged by appointment. Private and group instruction available. Contact Robbin for details. It has been such a busy summer here at our fiber teaching & retail studio, and at the woodworking shop too! 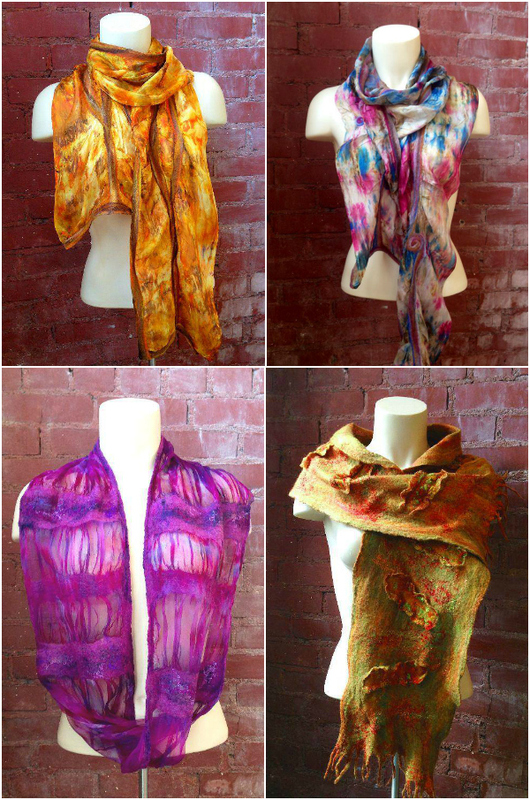 When Robbin is not teaching a class on felting, she is either making kits, creating samples for upcoming classes, filling orders of felt scarves and wraps for her galleries, hand-dyeing silk scarves, attending to visitors and customers, or experimenting with new designs. 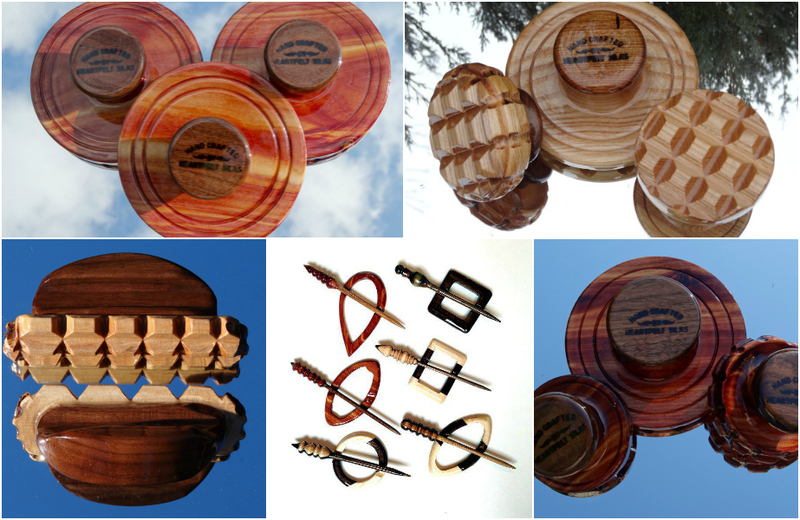 And Harry has been very busy making many new Palm Washboards, from the Original, to the Mini, the Rounded, and the Edge. He has been making his one-of-a-kind shawl sticks and shawl pins too! Robbin and Harry have also been working behind the scenes on a brand new addition to the Palm Washboard family. Shhhh….this secret tool is not out of the bag yet, but here is a hint — it is BIG! Below are a few pictures of Robbin’s recent nuno-felted and wet-felted cowls and scarves, as well as Harry’s latest woodworked creations. Recently made by Harry Firth of HeartFelt Silks – Palm Washboards, and one-of-a-kind shawl pins made of many kinds of Minnesota hardwoods. 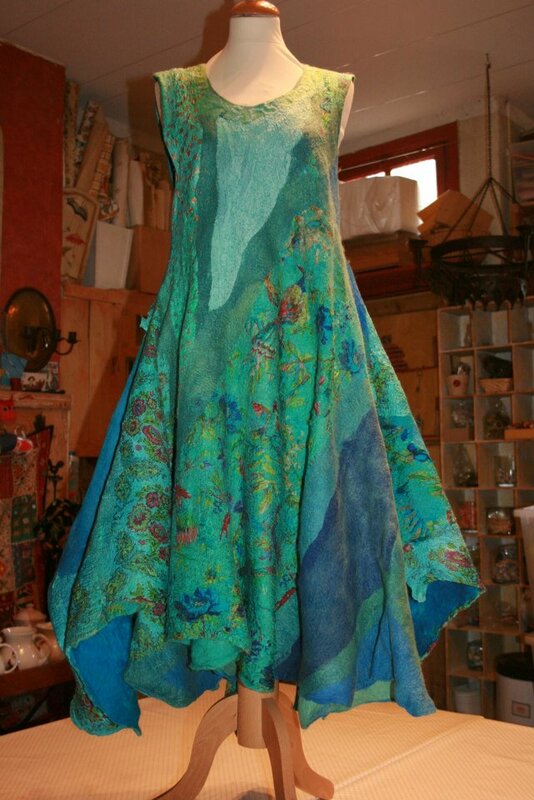 Keep up with studio news, and discoveries from the wonderful world of felting, by following HeartFelt Silks on Facebook. We have many exciting things, projects, and specials planned for the months ahead! Our new studio in Hudson, WI has a great and busy summer! 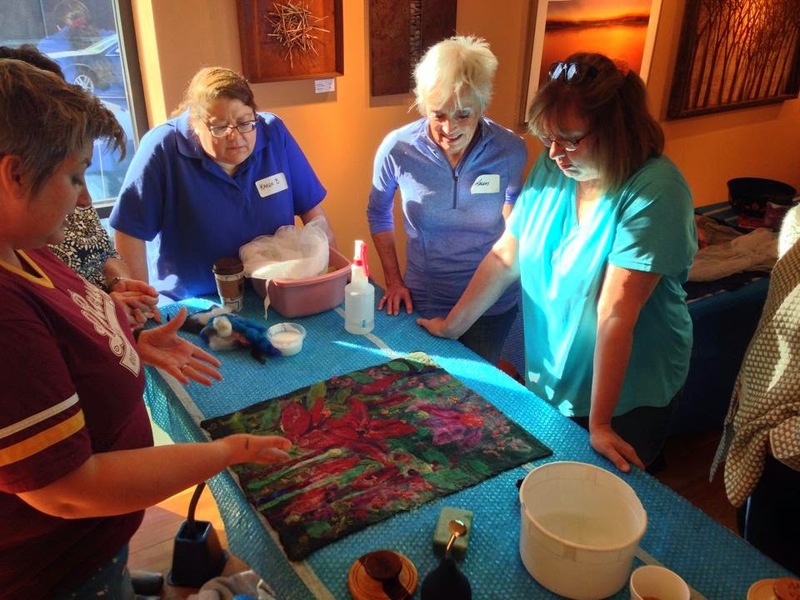 Here are a few photos from recent classes at the studio. Our August-September schedule of classes is below. Classes fill up quickly, so be sure to call early to register. See you soon! 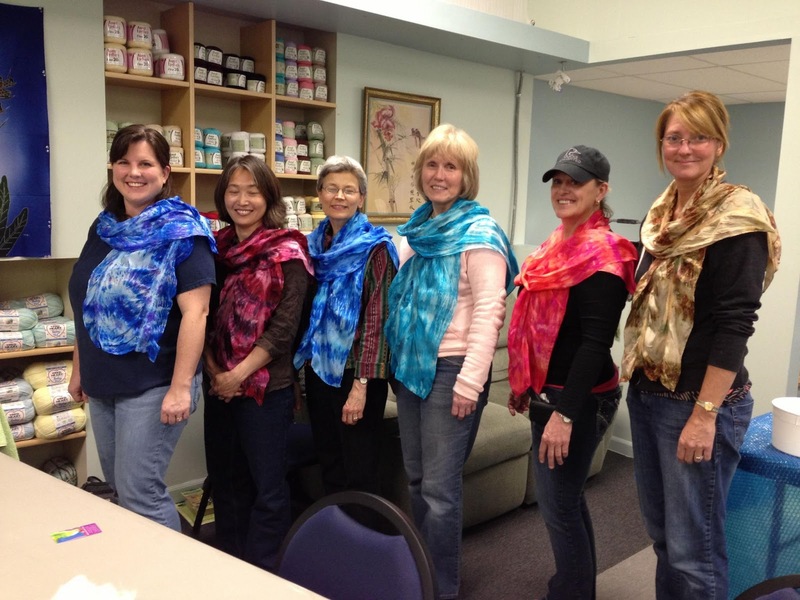 Lovely Students from the Wet Felting and Silk Dyeing classes at the HEARTFELT SILKS Studio. 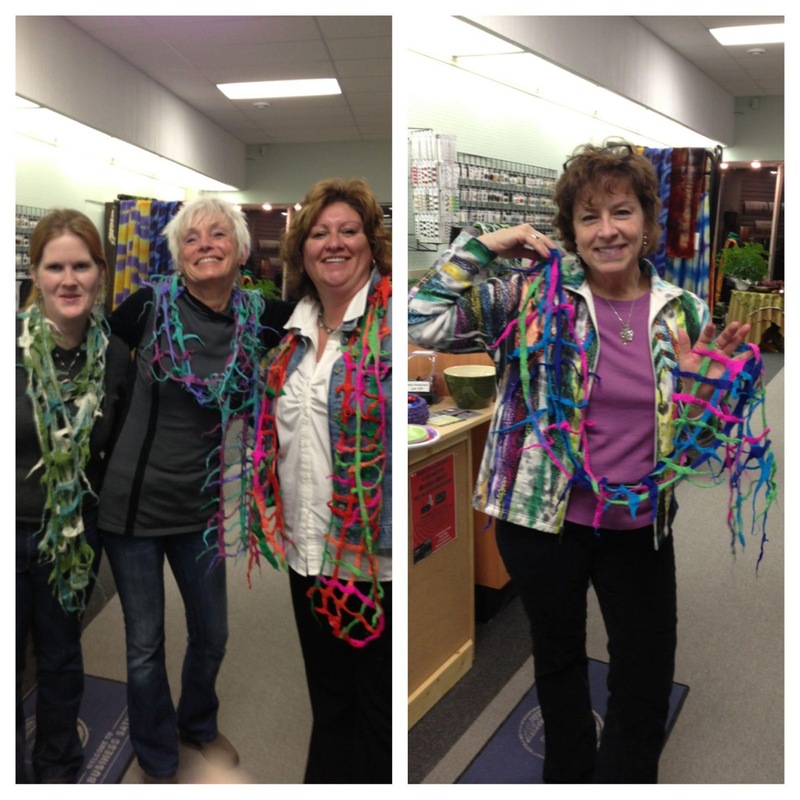 Create your own lattice style scarf or wrap that looks like an open weave of criss-crossed fibers. This technique makes a beautiful scarf that looks complicated, but is easy to learn. We will use merino roving, silk embellishing threads and your own scrap yarn bits to create the design and then wet felt with the Robbin’s Palm Washboard, an innovative non-rolling technique. Create an original scarf or cowl using Australian merino prefelt and many hand dyed merino silk and embellishing fibers. 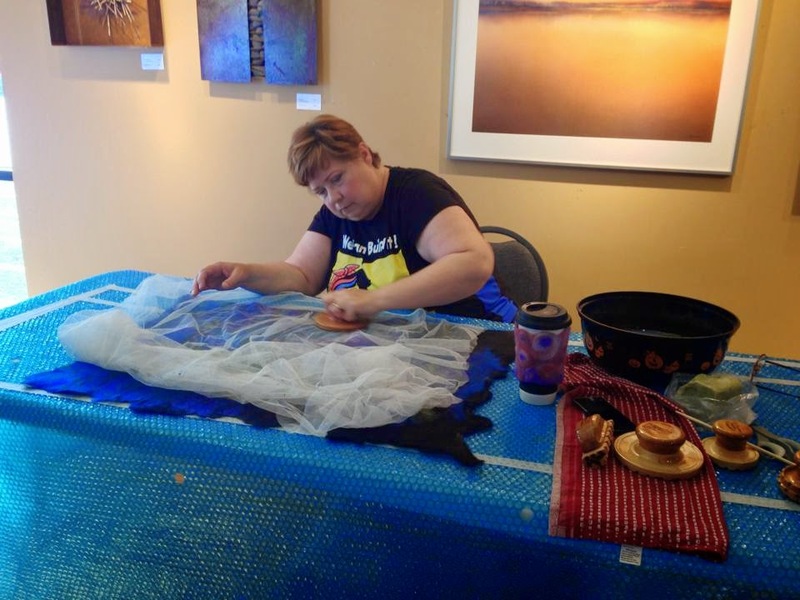 Robbin will show the process of wet felting using the Palm Washboard tool. 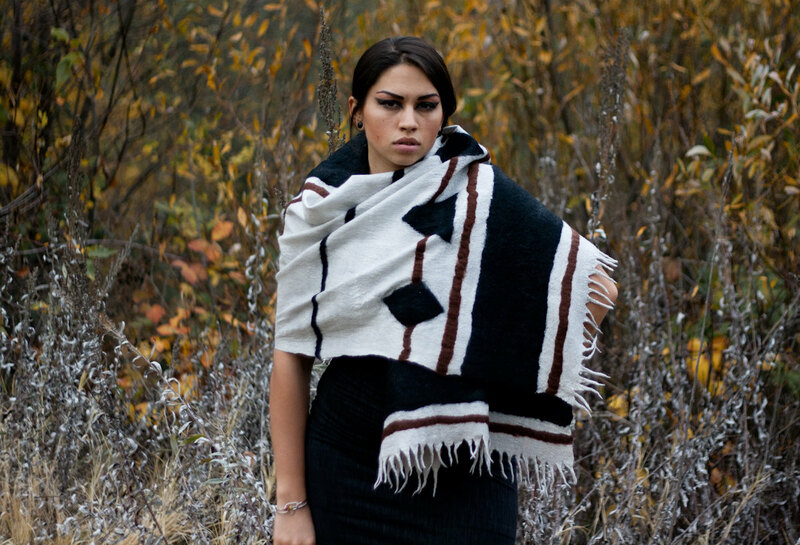 You will create a double sided design on your scarf or cowl with no rolling involved. 3 hour class. Please join us at the GRAND OPENING celebration of our new HeartFelt Silks® studio! 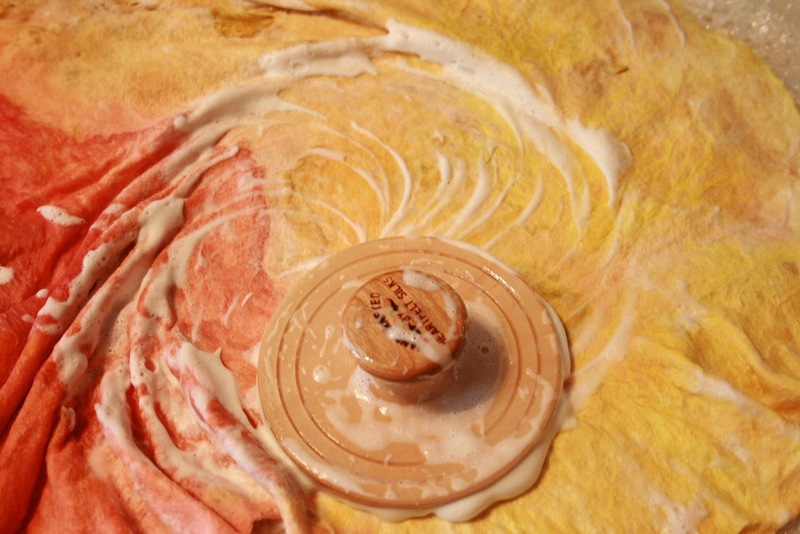 Food, fun, drawings, demonstrations, and opportunities for experimentation! Meet fiber artist and teacher Robbin Firth and wood artisan Harry Firth, creators of the innovative hand-crafted wooden PALM WASHBOARD felting tools. 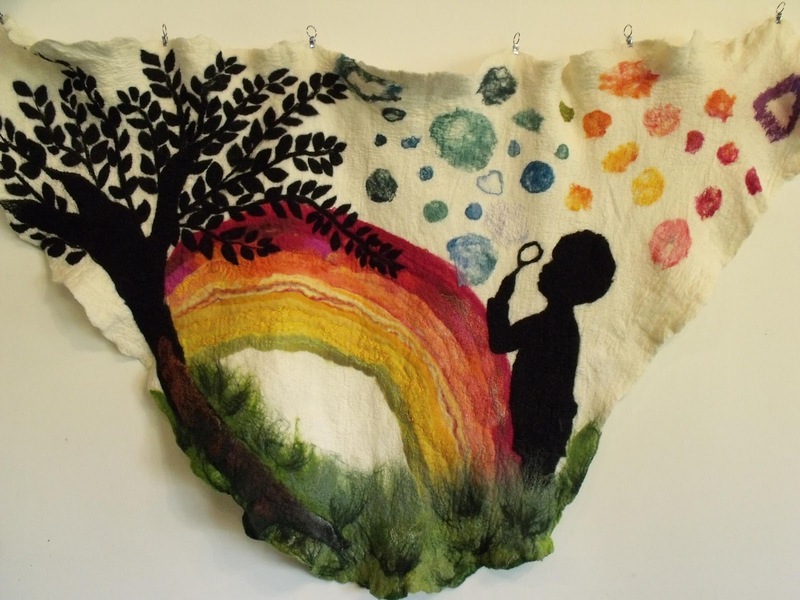 See Robbin’s work in felt and silk, meet other fiber art enthusiasts, and sign up for felting classes! 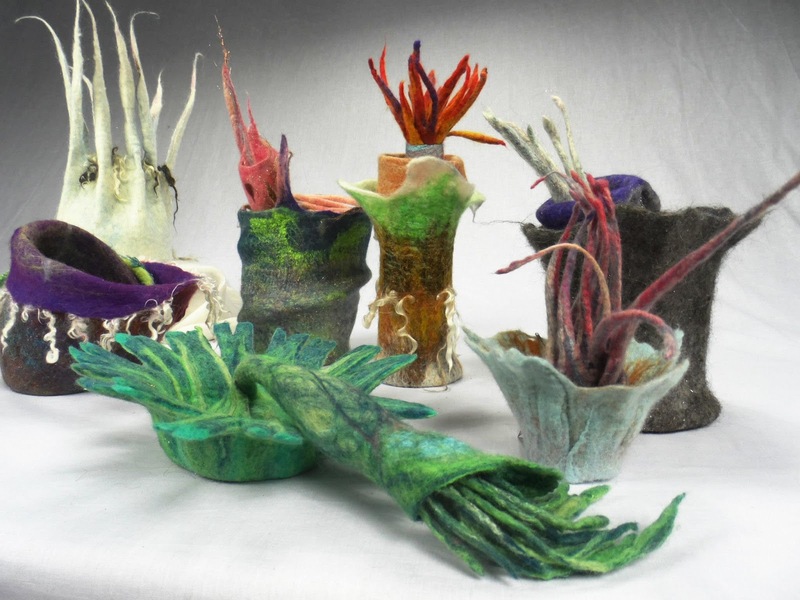 Take a felting class with fiber artist Robbin Firth. Let your creativity flourish and create unique fashion accessories and home décor objects! 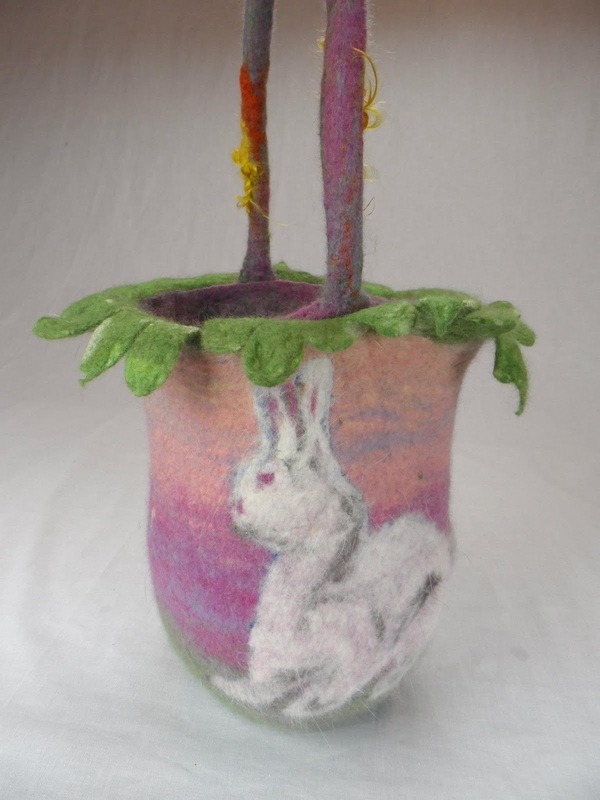 Other felting classes can be arranged by appointment. Private and group instruction available. Contact Robbin at 651-430-2868 for details. Robbin Firth https://heartfeltsilks.com/wp-content/uploads/2019/03/HomeBannerLogo-1030x84.jpg Robbin Firth2013-06-21 20:40:002013-06-21 20:40:00Studio GRAND OPENING!